This workshop teaches you how to create your own graphics and animations in 8-bit aesthetics using pixel graphics and/or text characters (letters, numbers and other symbols). The purpose of the workshop is to find new ways of expression in these unique media environments. Although often misunderstood as limiting and difficult, these tools are often quite helpful to develop new procedures, ideas and motivations. New ideas don’t require new technologies. Sometimes it’s even easier to be progressive with old tools, like Commodore 64 and Amiga. The process in the creation of content is a mixture between sloyd (handcraft based) and the use of new technologies. 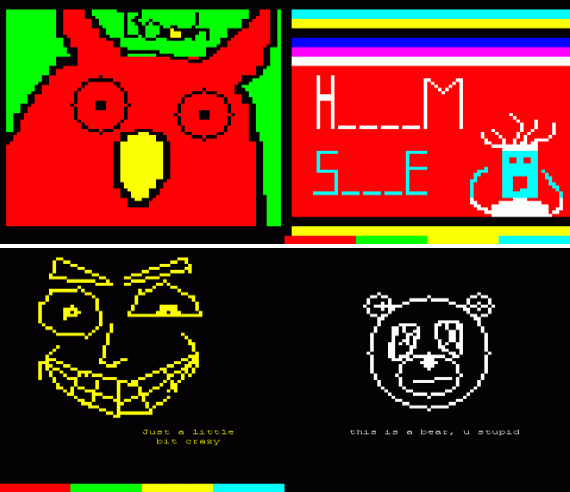 Techniques: pixel graphics in modern and old computers (Commodore 64 and Amiga) and text-mode graphics like Ascii, Ansi, PETSCII and Teletext (“Videotext” in german). 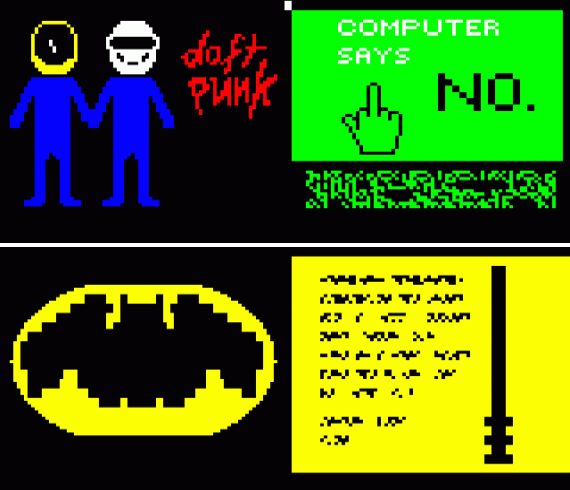 Teletext pages made by the students in the workshop “Pixelarium (Computational Design)” at Merz Akademie Sommersemester 2013.